The record that I picked up this week is “The Stranger” by Billy Joel. I listen to Billy Joel occasionally and like what I’ve heard so far. 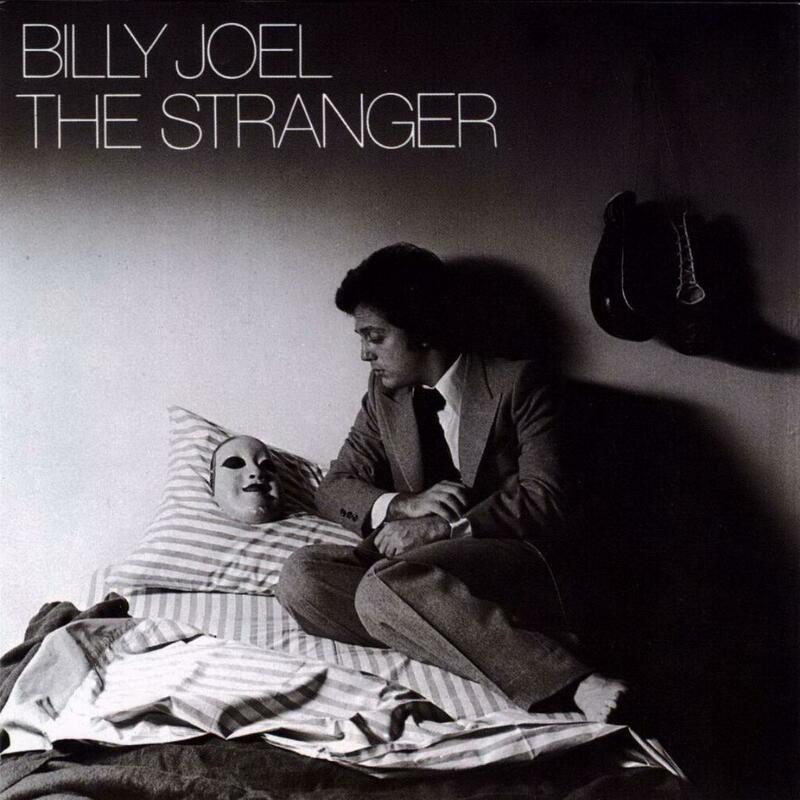 Vienna is my favorite Billy Joel song ever, so I decided for my first record to get the record it was on, “The Stranger”. Billy Joel was born on May 9, 1949 in the Bronx, NY. He is often considered one of the greatest Piano players of all time. He had 33 top hits in the 70’s, 80’s, and 90’s all of which he wrote himself. He is a six time grammy winner and has sold over 150 million records worldwide. While he is an exceptional artist and I think he has incredible talent, my personal feelings on Billy Joel are mixed. I like his music a lot and really respect that he wrote his own songs. However, as a person, I kind of dislike him. He is known to be very arrogant and this shows through in his music. His music is often self centered, or has an underlying message of him being better than everyone. Think back to his most famous hit “Piano Man.” In that song that Piano Man (Joel) is so much better than the rest of the people at the bar. He describes each person in a way that has hints of how much better he is than them. (people who are in the song his fans and are listening to him!!!). While this isn’t the most obvious example, ( I would argue that would be either the entertainer, she’s always a woman, or It’s still rock and roll to me), it still shines through if you listen to the lyrics of even his most popular song. The first song that stuck out to me was Just the way you are. This song really shows off Joel’s vocals. It starts off slow and really focusing on Joel’s voice, but eventually adds more and more instruments as you slowly move into the song. The next song that stuck out to me was Scenes from an Italian restaurant. This is a very dynamic song. It starts off slower and slowly evolves. By the time the first third is over, you wouldn’t recognize it from the beginning. This middle part is my favorite and it tells the story of a high school couple marrying and then divorcing. The end returns similarly to the beginning. It feels very complete. Another song that stands out is she’s always a woman to me. This song is an admitted paraphrase of Bob Dylan’s Just like a woman. Joel loved that song so much that he decided to make his own take on it. While the fact that he paraphrased the idea of a song he liked in order to make a new song is bad, I could overlook the lack of creativity if he had captured the same idea as Bob Dylan. Dylan’s song was all about love and used the word woman to show respect and the contrast with the child inside of her. Billy Joel completely missed this subtly of Dylan. He throws a lot of anti-woman stereotypes about women being cold and it ruins the song for me. The subtly isn’t there and this changes the meaning making it quasi sexist. The song is listenable just don’t listen too hard to the lyrics and don’t listen to it if you have listen to and understand Dylan’s Just like a woman. I have included videos of both below if you would like to listen and see for yourself. But If you are only gonna listen to one song listen to the video after these two. I feel confident in my ability to do Passion Blogs. I had no issue doing them last year and most of my posts were around the newly-increased 500 word requirement anyway so I believe that the Passion Blogs won’t present any major challenge. I liked my topic of the grateful dead last year, but by the end of the semester I felt very restricted since my blogs where forced to be about only one band. Don’t get me wrong, the Grateful Dead are my favorite band and I listen to them a ton, but they certainly aren’t the only music i listen to. For this semester’s Passion Blogs I intend to continue to write about music, but would like to eliminate this one band limitation. My idea is to review a new record from my record collection every week. I buy a new record about every week and I was thinking I could do some background on the album, the band, and give my impression of the album as a whole as well as a few songs. For the weeks in which I don’t end up getting a new record I could always choose one from my collection at random and discuss that. My other idea is to discuss future music festivals. I go to 2-3 music festivals every summer and love them. I could review the music festivals I have gone to and discuss others I have not. I feel less confident for the civic issues blogs. First we have never done them and i am not confident in what type of issues are supposed to be chosen. Are they supposed to be like smaller, local civic issues or larger national issues. Regardless my first idea I had was voter ID laws. Voting is one of our most important civic abilities and the limitation of that whether on purpose or as an accidental byproduct of anti-fraud legislation is a big issue. Another issue I was thinking of was the housing of the homeless on tax payer dollar in Salt Lake City, Utah. The government provided free housing to the homeless in order to get them off the street and provide them a way to get on their feet. All of this was of course paid for on the working, tax payers dime. This brings up several issues such as taxation, government handouts, and the role of government. The “This I Believe” project is difficult. There are so many different directions that you can take on this project. There are serious ones about religion and god to simple ones about tipping pizza men. One idea I was thinking about would deal with guns. I am a strong supporter of gun rights and i strongly oppose anti- gun legislation. My love of hunting combined with the fact that I am a gun owner makes this issue very important to me. Another possibility would be that I believe the Grateful Dead is the greatest band of all time. I have many reasons in support of that, despite a lot of them being opinions.